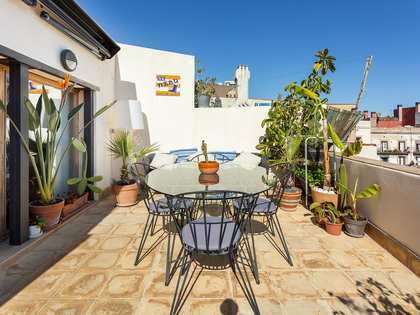 This property is part of the Correu Vell. 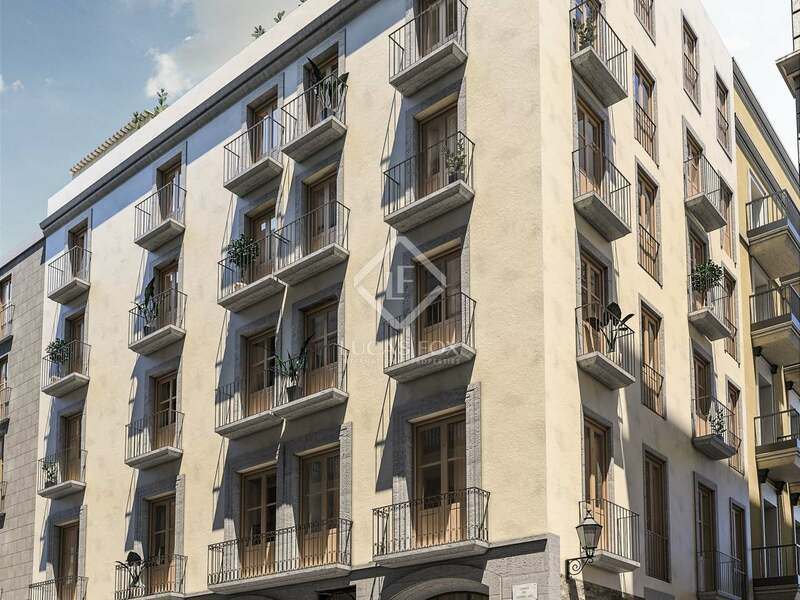 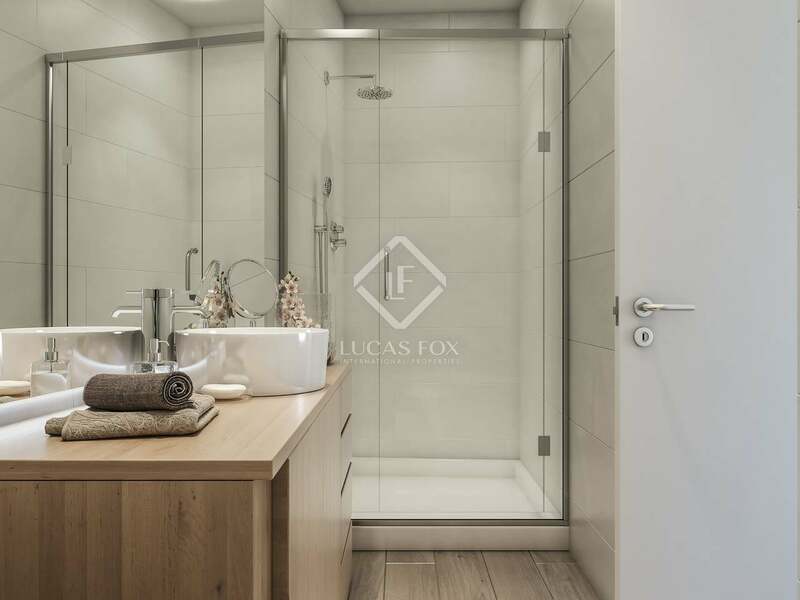 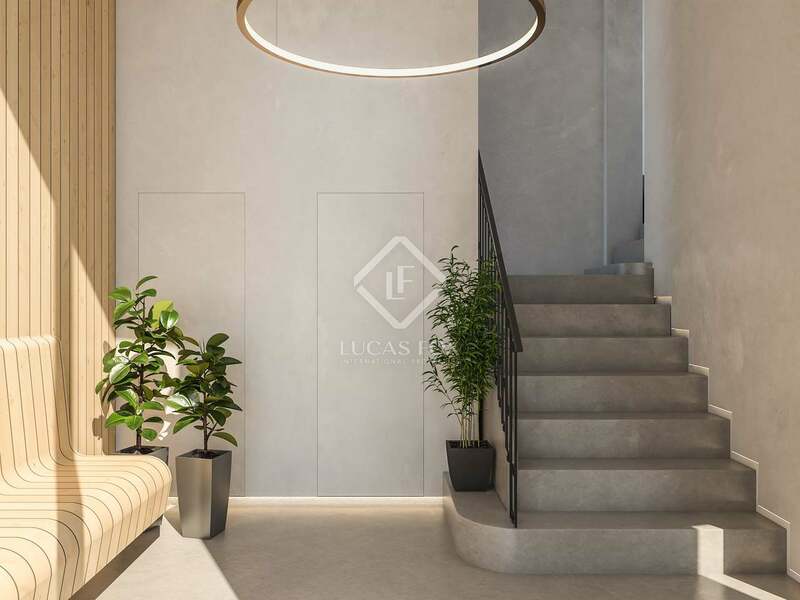 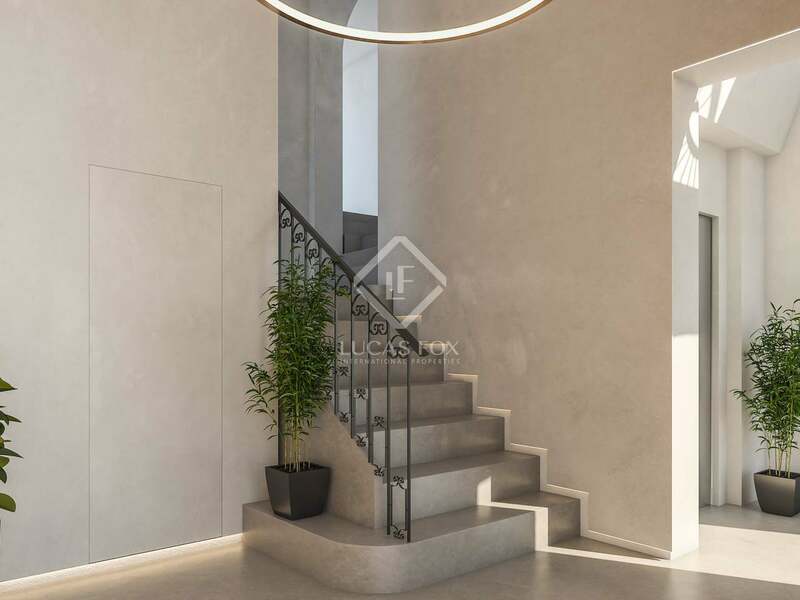 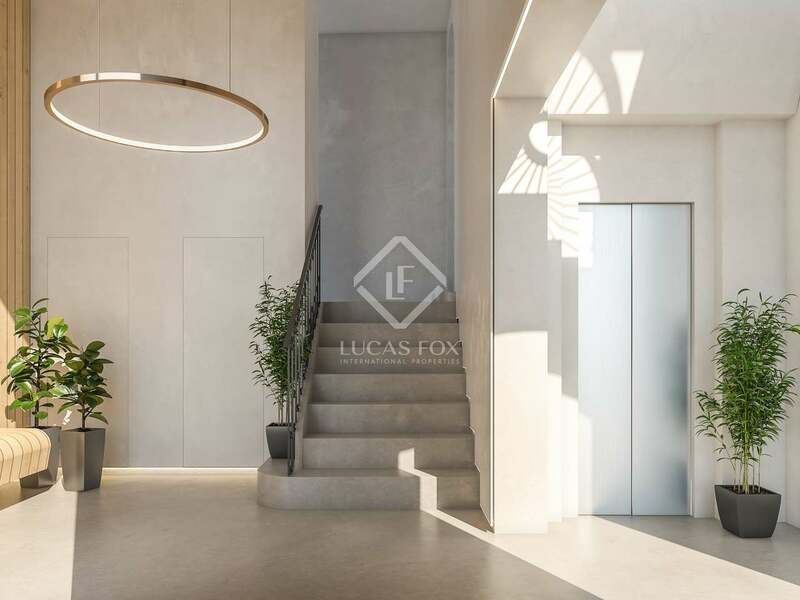 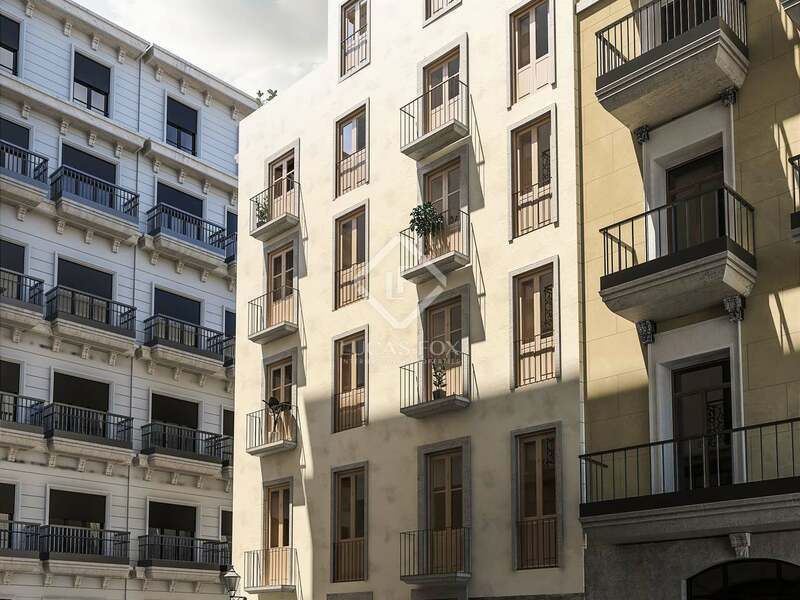 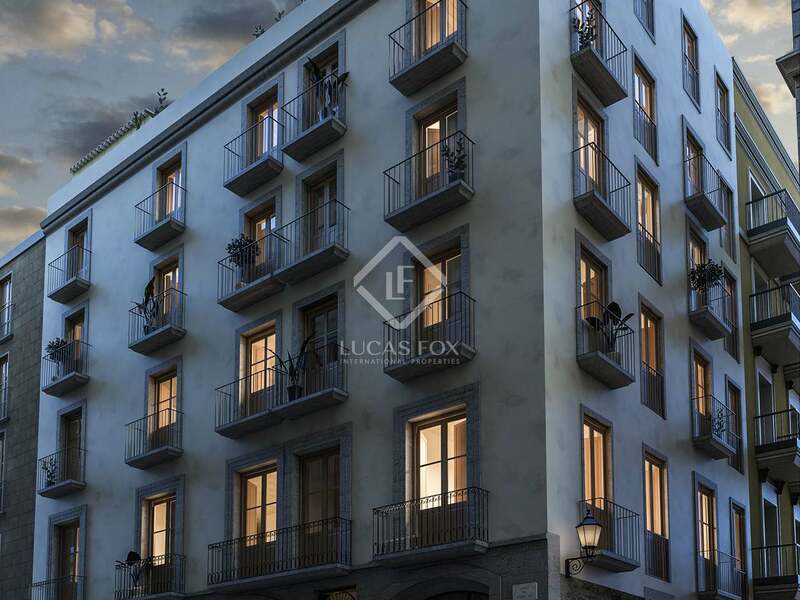 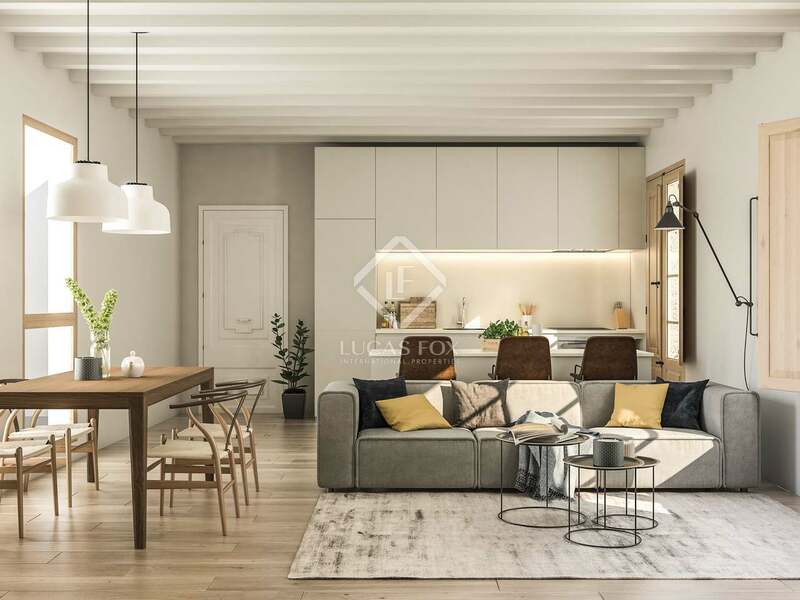 Exciting new development in the historical Gothic Quarter of Barcelona Old Town with a variety of property sizes on offer; all with excellent finishes. 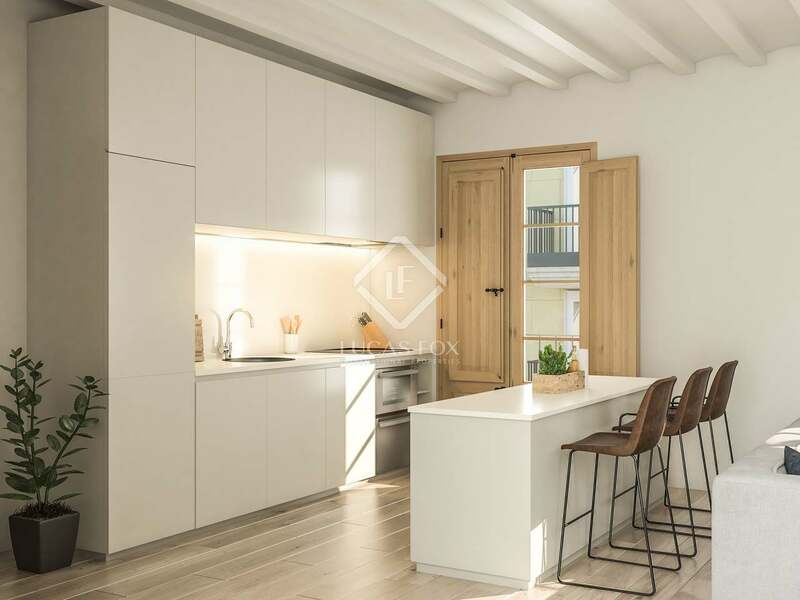 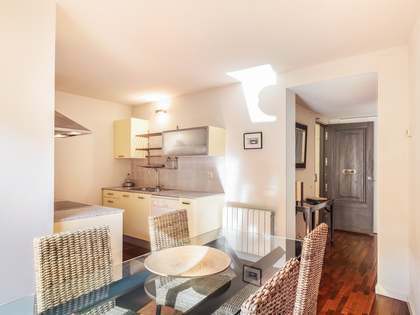 Exciting new development in the historical Gothic Quarter of Barcelona Old Town offering this stunning 1-bedroom first floor apartment with excellent finishes. 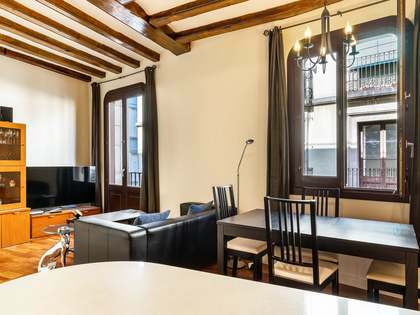 We find this beautiful apartment for sale in a brand new development located in a renovated building with a lift in the charming historical Gothic neighbourhood of Barcelona Old Town, surrounded by beautiful period buildings and within easy walking distance of Ciutadella Park, Port Vell, Barceloneta beach and Jaume I metro station. 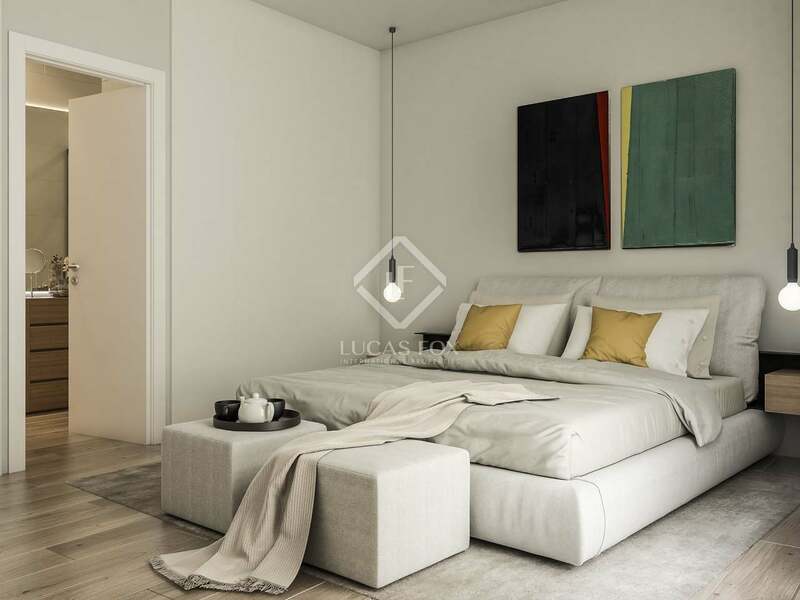 With a built size of 55 m² plus a small terrace, the property offers an open plan living and kitchen space, a master bedroom, a complete bathroom and all boast excellent finishes. 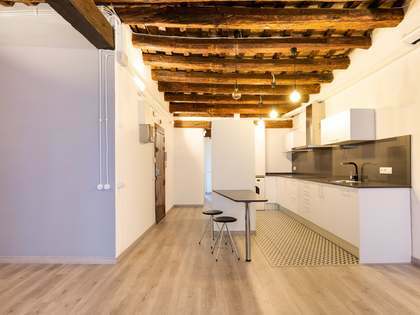 The renovation project has undertook to maintain the charm of a period building with high ceilings with wooden beams and has completed the properties with elegant modern elements like the chrome kitchen appliances, solid oak flooring and lacquered cupboard units. 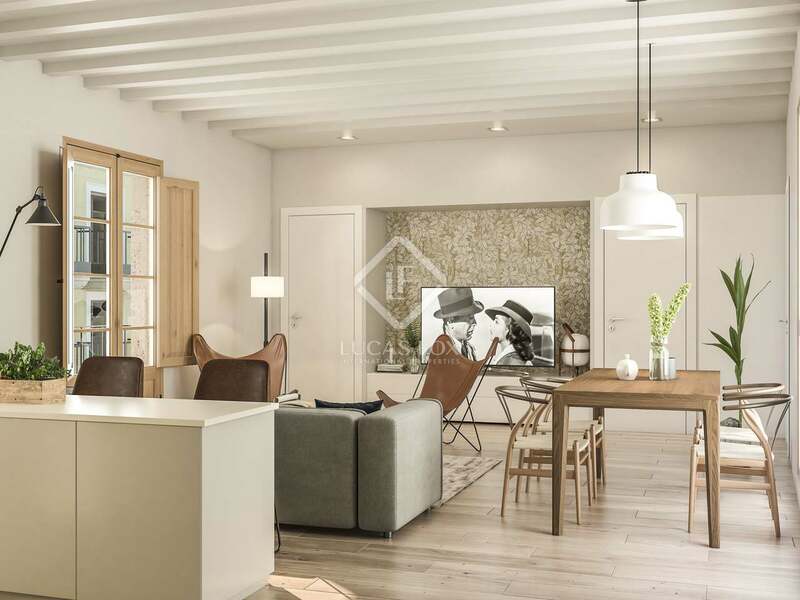 The apartments enjoy air conditioning and heating for optimum comfort. 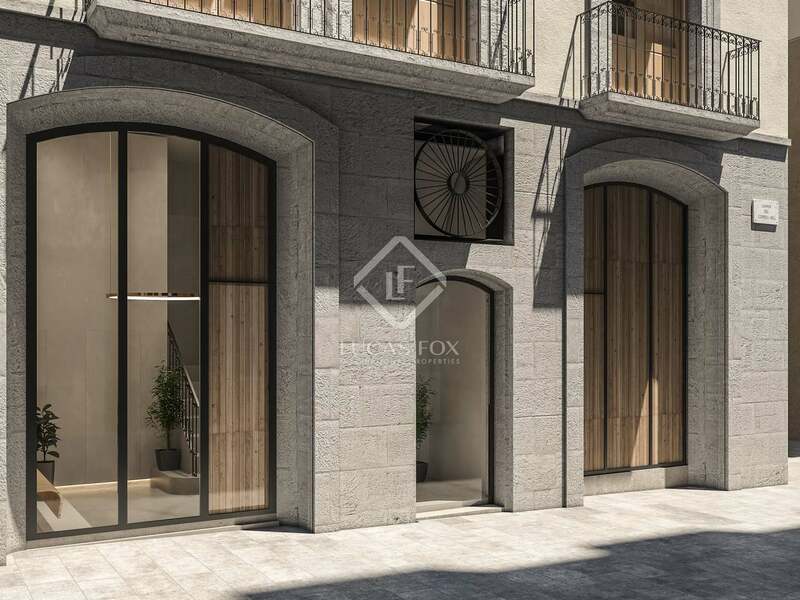 This new development is located at the heart of the Gothic Quarter, very close to the Ciutadella Park, 7 minutes on foot from Marina Port Vell and 15 minutes on foot from the beaches of Barceloneta with numerous seafood restaurants, shops and galleries within walking distance. 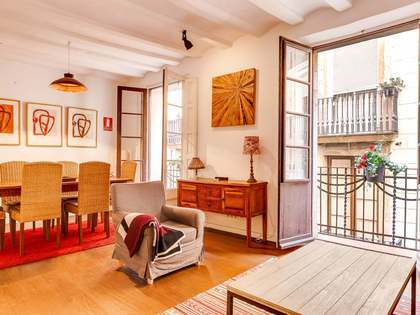 It is a 4-minute walk from the nearest metro station, which is Jaume I.